If you’re investing in a spa for its health benefits, you’re sure to enjoy the therapeutic relief of your new hot tub. Bathing in hot water has long been praised for its health benefits (in fact, the practice has been in use for thousands of years), and that tradition continues with the modern hot tub. Not only are spas beneficial for those suffering from a variety of conditions, they also benefit nearly anybody who takes a dip, since they provide an ideal environment for relaxation. We all manage stress in our day to day lives. With work, toting the kids around, chores, and bills, you may find that you’re exhausted at the end of the day — not to mention stressed out. A spa can serve as a welcome escape from all the stresses of your life, and it can turn into an important end-of-day tradition to keep yourself balanced. If you’re overworked, or you simply want a space to escape from the daily rigmarole, you’ll love the spa experience. Take a dip, turn on some jazz, turn up the jets, and let your hot tub melt the worry and tension away. From stress to lack of sleep, headaches can be triggered by any number of things. Fortunately, soaking in a spa can help to relieve most headaches. A relaxing dip provides soothing sounds and sensations which will aid you in relaxing mentally. Plus, your blood will flow more readily to your brain after being heated by the waters of your hot tub. So, if you feel a headache coming on, you can drink a couple glasses of water, settle in for a soak, and take a deep, relaxing breath. If you suffer from muscle spasms, muscle tension, and other aches and pains, then time in the tub can prove to be helpful. The heat of your spa water will improve blood flow throughout your body, which can help your muscles to relax. Plus, sitting in water removes the normal pressures that burden us as we walk around. Beyond that, spa jets are designed to gently massage your muscles, which can provide a wholly soothing experience. Just be sure to drink plenty of water before and after a dip in the spa to ensure that your muscles are well hydrated — otherwise, you may still experience cramps and spasms! If you’re an athlete, or you’ve just hit the gym pretty hard, you’ll cherish your time in a hot tub. A session in the spa improves blood flow to your muscles, which can aid in the recovery time for any muscles that you’ve strained or worked on. This increased blood flow can help to bring the nutrients that your muscles need to recover, and it can help to purge your muscles of lactic acid that builds up after a trying workout. Again, it’s a good idea to drink lots of water before and after your dip in the spa to ensure that your muscles are well hydrated as you recover from your workout. If you suffer from arthritis, then your joints are likely bothersome throughout the day. A dip in the spa can provide a reprieve from these pains, and it may help to keep pain away longer. 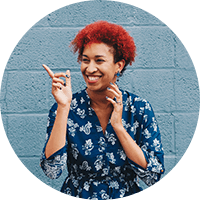 The science here is simple: The buoyancy that water provides on the body alleviates the pressures that our joints would normally endure while we’re standing, walking, sitting, or even lying down. 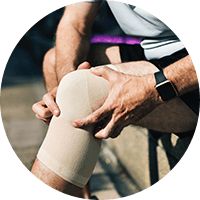 Combine that benefit with heat absorption that improves muscle relaxation and blood flow, and your joints are likely to feel looser, more revitalized, and free from pain. Throughout the day, our bodies naturally regulate blood sugar by utilizing that sugar for energy and filtering it out through our systems. However, we can still have blood sugar spikes after certain meals and snacks, and those who have diabetes can struggle to control their blood sugar levels more than other individuals. If you’re concerned about the blood sugar levels of your body, it may be beneficial to invest in a hot tub to keep your levels more regular and healthy. Bathing in spas have been shown to provide beneficial blood sugar regulation. According to the National Institutes of Health (NIH), hot tubs may prove to be therapeutic for those with diabetes, since it mimics blood sugar regulation that would otherwise come along with exercise. A three week study has shown that soaking in a spa for half an hour every day for six days per week can reduce blood sugar in the body by 13 percent on average. If you suffer from high blood pressure, or you’d simply like to keep your blood pressure in check, time in a spa may be well spent. According to the Mayo Clinic, resting in a hot tub can improve an individual’s blood pressure. In fact, the study showed that even just 15 minutes in a spa can reduce blood pressure. 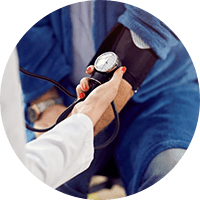 Healthy blood pressure can reduce your risk of contracting certain cardiovascular problems, and it helps to keep the heart healthy. In addition, you may notice various other benefits, from better vision to improved mental clarity to better kidney function. Plus, unlike exercise, resting in a hot tub may improve blood pressure without placing a strain on the heart. Heat and jets in your spa may help to reduce back pain. If you suffer from pain caused by sore joints or tight muscles in your back, then regular soaks in the spa may help to work out the kinks. The heat of your spa will improve blood flow to your spine, which can relax muscles around the spine while aiding joint health. 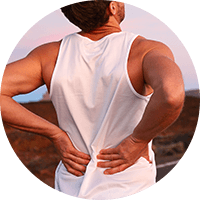 Plus, the buoyancy of floating in the tub combined with the effect of the therapeutic jets can further relax your back muscles which may otherwise be strained. If you’re striving to lose weight, a hot tub may be surprisingly beneficial. Spas have been shown to help individuals lose weight, since the hot water and jets have an effect that is similar to exercise. 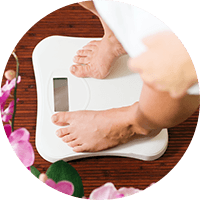 This simulated effect may help you to lose weight, even without a change of diet or exercise. Plus, hot tubs improve your relaxation, which can reduce urges to stress-eat. Plus, with the more restful sleep that hot tubs can provide, you may be less likely to overeat throughout the day, thanks to healthier cortisol and ghrelin levels (which can trigger hunger). More restful sleep may also increase your metabolism during sleep and throughout the day too, which means more calories burnt at the end of the day. As we just mentioned, spending time in the spa can help you to improve your sleep patterns. If you struggle with insomnia or restless sleep, taking a soak in your spa may help you to fall asleep faster, stay asleep longer, and attain deep sleep. Simply take a soak in the afternoon or evening to improve your odds of sleeping restfully at night. More restful sleep also provides a multitude of benefits — from a better mood to more energy throughout the day — so a simple soak can begin to improve your life all around. Spas can prove to be beneficial for those suffering from a variety of conditions and illnesses. 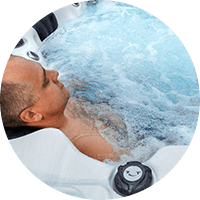 If you’re coping with scoliosis, tendinitis, carpal tunnel syndrome, fibromyalgia, or other conditions, then your hot tub may provide relief and it may help you to reverse the symptoms. 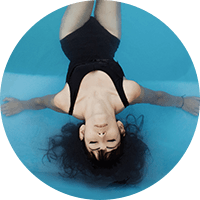 Your spa can reduce inflation that is associated with many of the aforementioned conditions, and time spent in the hot tub can reduce aches and pains or aid in recovery from a condition. On top of the aforementioned physical benefits of hot tubbing, a dip in your spa can prove beneficial for your social and mental health. Socially speaking, there may be no better way to gather and hang out with friends than to share some time soaking up the warmth of a hot tub. You can use your hot tub as a gathering space for parties, growing closer with those who you most cherish in your life. Host “Hot Tub Tuesdays” or pair a barbecue with a dip in the spa. You’ll love the element that your hot tub can add to your social gatherings. As for your mental health, your spa time can prove to be a time to rest and reflect on your life. A quick soak will give you time to relax, breathe, and unwind. In this comfortable, soothing atmosphere, you can let your mind wander. You can even take time to meditate while you’re in the tub, or you can simply lay back and let the bubbles and jets do their work. Soothing sessions in the spa may even be helpful for those who are suffering from depression. For those who are overworked, stressed, or feeling blue, you’ll love the comfort and warmth of your spa. If you’re about to invest in a hot tub, we’re here to assure you that you’ll cherish the many health benefits that it provides. As we’ve mentioned, your spa can aid your mental, social, and physical health, and overall, it’s simply a fun, relaxing way to enjoy an afternoon. If you want to discover the benefits of owning a spa for yourself, and you live here in Northern Colorado, feel free to stop by our Fort Collins spa showroom to take a look at our hot tubs, and to learn more about the many features and benefits that our hot tubs provide. As always, feel free to reach out to us if you have any questions about our spas, or visit us in person at 6208 South College Avenue in Fort Collins.